This extension converts a WPF application from the .NET Framework to .NET Core 3. This Visual Studio Extension converts a WPF application built with the .NET Framework to a .NET Core 3 application. This is currently a work in progress and should be considered experimental. 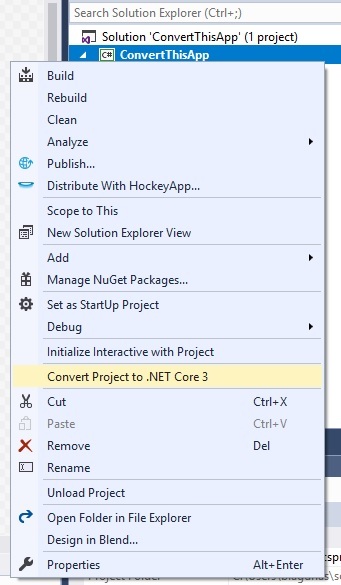 Simply right-click your WPF project and select the "Convert Project to .NET Core 3" option. When you convert your application, the extension will update your CSPROJ file to the new .NET Core SDK style format.